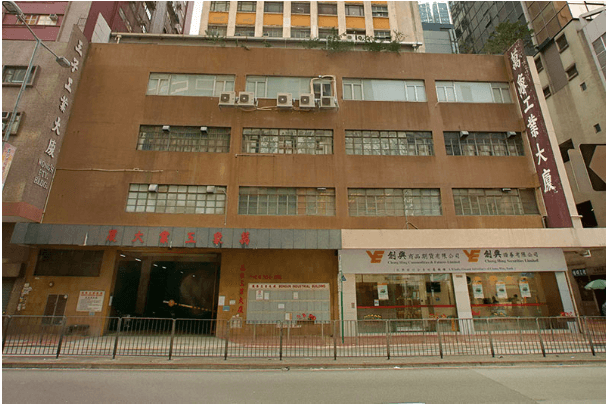 Earlier on the website, I touched on the sale of the Wong’s Factory Building at 368-370 Sha Tsui Road in Tsuen Wan, which was developed by the Wong family of Sweetmart Garment (see article). Right next to the Wong’s building at 364 Sha Tsui Road is Bonsun Industrial Building, built in 1973 by the Bonsun Group, a conglomerate in HK in the 1970s and 1980s. Bonsun, which was involved in a wide range of industries ranging from textiles, electronics, jewelry, finance, shipping and properties in HK was founded byVan Thuan (文裕順), a leading Chinese industrialist from Cambodia in the 1950s and 1960s before the Khmer Rouge came to power. In recent years, the Van family returned to Cambodia. A native of Yaoping in the Chiuchow region, Van Thuan was born in Cambodia in 1917 but his father Van Chip-tong (文集中), took him and his brother back to Chiuchow for education before the Communists came to power and they returned to Cambodia in the 1940s. According to his daughter, Thuan started out as an artist going door to door selling portraits and landscape before becoming a trader in dried fish. He saved up enough to start a silk weaving factory in Phnom Penh with a partner and over time built the Van Chip Tong group of companies in Cambodia, one of the country’s leading industrial conglomerate in the 1950s and 1960s which was involved in textiles, dyeing, paint, chemicals and rubber products. His most famous enterprise was the Chip Tong Shoe Factory, the leading manufacturer of rubber sandals in Cambodia located in a 2-hectare plot in the TuolKok district of Phnom Penh.The sandals were so popular in Cambodia that sandals in general were referred to by Cambodians as “tongs” after the firm’s name and was popular across Southeast Asia as well. (the Australians also call rubber sandals “thongs” but it is unclear whether there are connections to the Cambodian tongs, see article on John Cowie and Nylex for more details on the business of rubber sandals) In 1965, Thuan acquired the Bank of Indochina building in Phnom Penh as his business headquarters and family residence. Through the global network of Chiuchow merchants, Van Thuan began to expand his interest outside of Cambodia in the late 1960s. He invested in Overseas Textile Co in Singapore (which he served as vice chairman), which was founded in 1969 in Jurong by fellow Cambodian Chinese entrepreneur Liu Sung-tao (better known in Singapore as head of the Singapore Tennis Centre) and went into full production in 1972 with 22000 spindles, 400 workers and annual output of 10 million pounds of yarn. In Hong Kong, he became a director of Liu Chong Hing Bank, serving alongside the sons of its founder Liu Po-shan and other leading Chiuchow merchants such as Ngan Shing-kwan of China Motor Bus and Chin Sophonpanich (陳弼臣) of Bangkok Bank and SupasitMahaguna (張卓如) of Bangkok Metropolitan Bank. As the War in Indochina intensified in the late 1960s and early 1970s, Van sent his family to France and the UK and relocated to Hong Kong in 1969 where he quickly built the Bonsun group of companies (by chronological order of incorporation) – Goldwyn Shipping (金榮航業, incorporated in 1968, dissolved in 1990); Van Chip Tong (文集中公司, incorporated in 1970 and dissolved in 2014), Bonsun Land (萬象地產, incorporated in 1970, dissolved in 1984); Bonsun Electronics (萬象電子廠), incorporated in 1971, renamed Bonsun Jewelry (萬象珠寶廠) in 1977 and dissolved in 1984; Bonsun Finance (萬象財務, incorporated in 1973, dissolved in 2004); Bonsun Textiles (萬象紡織. Incorporated in 1975, dissolved in 2003), Unipacific Finance (Internationale) Ltd (incorporated in 1980, dissolved in 2007) and Van Chip Tong International Travel Agency (incorporated in 1983, dissolved in 1996). In the 1970s, the Van family built at least two industrial buildings in HK – the Bonsun Industrial Building in Tsuen Wan mentioned earlier (Liu Chong Hing Investment which is related to LCH Bank that Van Thuan was a director of currently owns the carpark and some of the units in the building including the ground floor) and the 18-story Bonsun Textile Industrial Building (renamed Remex Centre) at 42 Wong Chuk Hang Road in Aberdeen in 1978 with Bonsun Textile occupying the first two floors. Of all the Bonsun companies in HK, the most visible was the lending company Bonsun Finance which in addition to its head office at Alliance Building at 130-136 Connaught Road Central in Sheung Wan, it had opened branches in Mongkok, Sheung Shui (opened in May 1982), Yuen Long and Kwun Tong (opened in November 1982). In December 1982, over 100 clients and 20 brokers of a failed gold futures trading firm which was in the same building as Bonsun in Sheung Wan went to Bonsun’s office seeking compensation based on rumors that the two firms were connected. In 1986, the lending license of Bonsun Finance was revoked.One by one, the various Bonsun companies were dissolved in the 1980s through 2000s as the family shifted their focus back to Cambodia. Van Thuan became very active in community affairs in HK shortly after he arrived, becoming the vice chairman of Po Leung Kuk, chairman of the Man’s Clansmen Association and a director of Chiu Chow Chamber of Commerce. 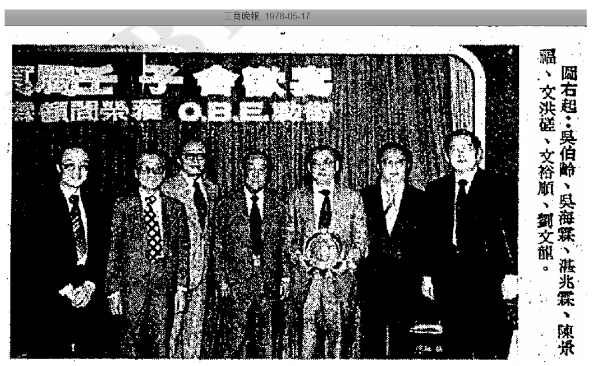 At his 60th birthday on April 1977, Thuan donated HK$60000 to the Tang Shiu Kin and Ho Tim Charitable Fund. Thuan and his wife Ta Nguyet Trinh had 9 children. His eldest son Van Hong-Tuon (文融哲) graduated with a degree in textiles from Leeds University in the UK and served as a director of Tung Wah and Yan Chai Hospital. his second son Vary Van (文禮提, 1944-) and served as a director of Tung Wah in 1977. His third son Van Sou-Ieng(文舒揚, 1953-) graduated from a French university in 1976 and returned to join the family business in HK. From 1980 to 1983, Sou-ieng was married to actress Teresa Mo (毛舜筠). Another relative Van Meng-chin (文明真, likely a nephew) was also involved in various Bonsun companies. When the Khmer Rouge came to power in Cambodia in 1975, the Van family’s business interests and properties in Cambodia were seized by the Cambodian government including the Chip Tong Shoe Factory and the Bank of Indochina building which was taken over by the National Bank of Cambodia. 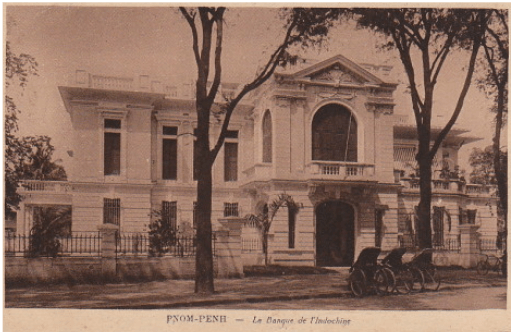 But in the 1980s and 1990s under the leadership of Van Thuan’s wife and his sons Van Tuon and Van Sou-ieng, the family returned to Cambodia and managed to repossess some of the family properties from the Cambodian government such as the Bank of Indochina Building in 2003 where Thuan’s daughter Van Porleng opened the French fine dining restaurant Van’s in December 2007 and Van Sou-ieng managed to re-acquire the Chip Tong factory site in TuolKok in a competitive bid and converted it into the Meng Ieng Garment Factory. Under the management of Sou-Ieng and his sister Van Porphin who left Cambodia at the age of 9 for a boarding school in rural France, returned in 1997 and joined Meng Ieng full-time in 2007, MengIeng was employing over 2000 workers and making half a million pairs of jeans a month for US retailers such as Target and JC Penney by 2012. As a leader in the Cambodian garment industry, Van Sou-ieng served as the chairman of Garment Manufacturers Association in Cambodia (GMAC) and president of Cambodia’s Federation of Employers and Business Association. This article was first posted on 8th February 2019.